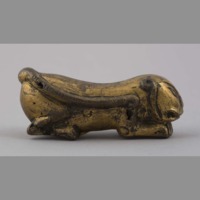 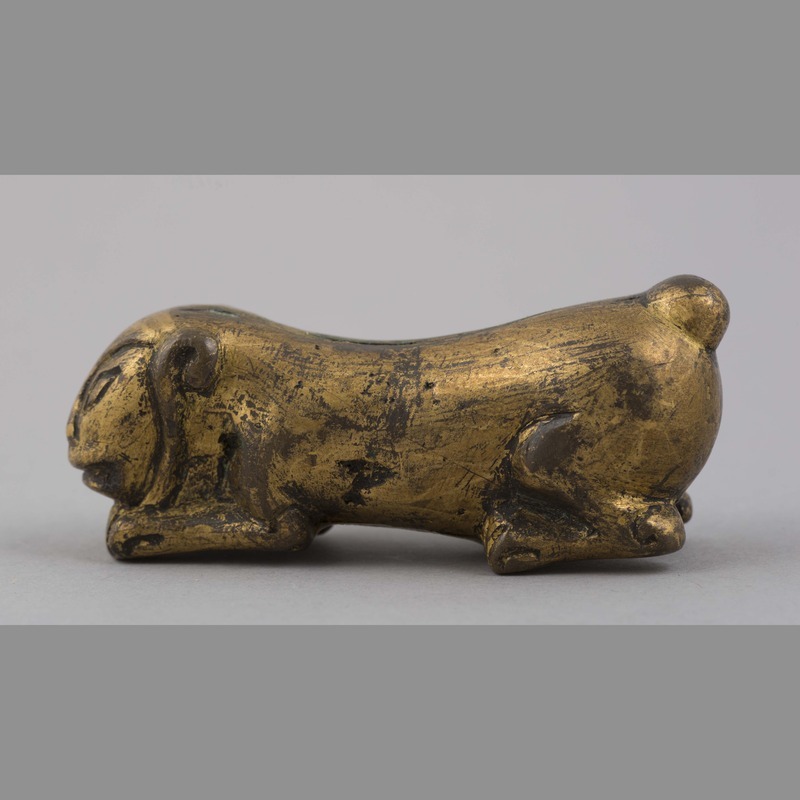 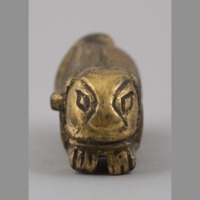 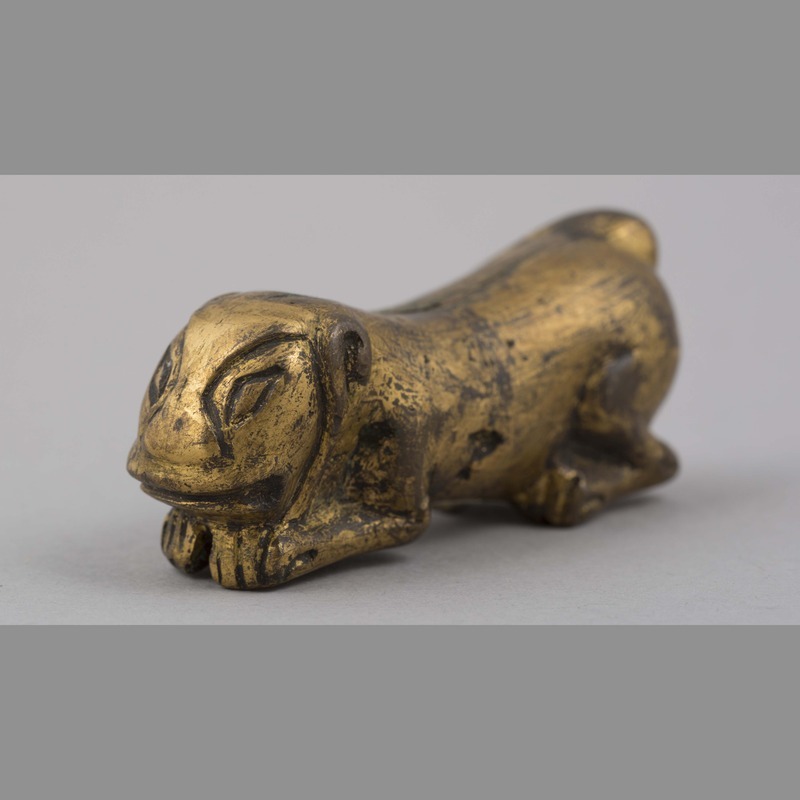 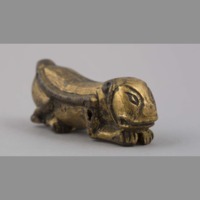 One small gilded bronze figurine in the form of a crouching lion. Small patches of green patina where gilding has flaked off. 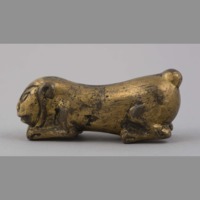 Tail of lion curves over its back and along its right hand side. 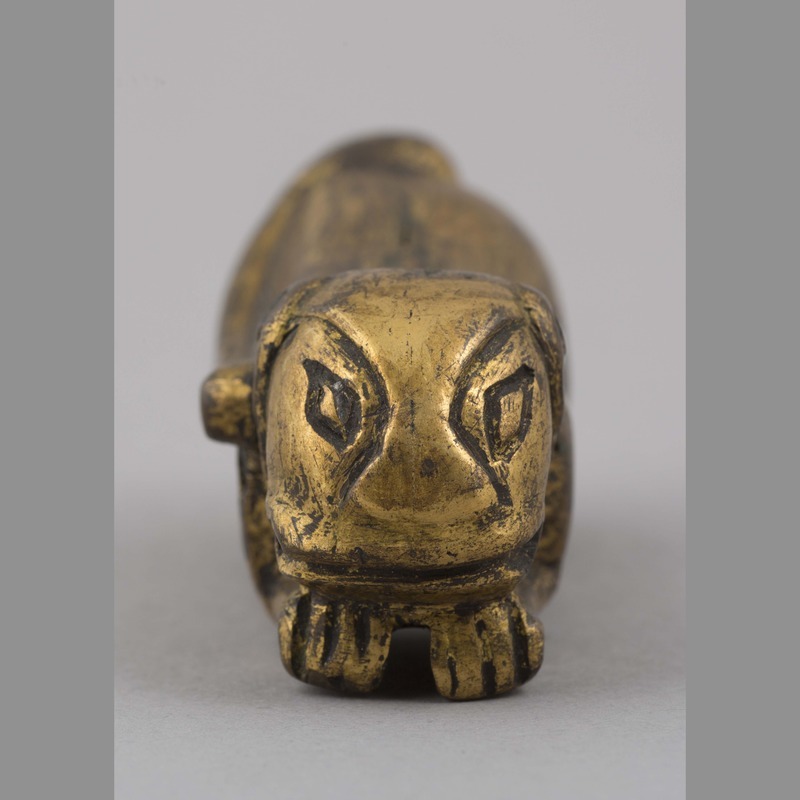 Linear grooves detail eyes nose and paws. 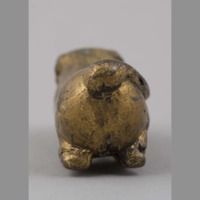 Figure is slightly split along its back. 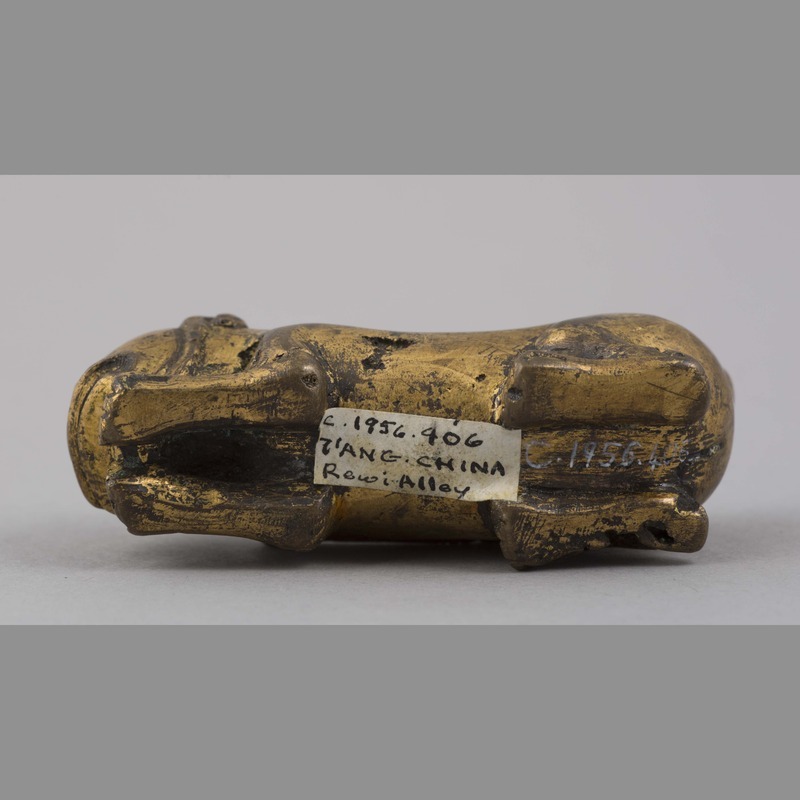 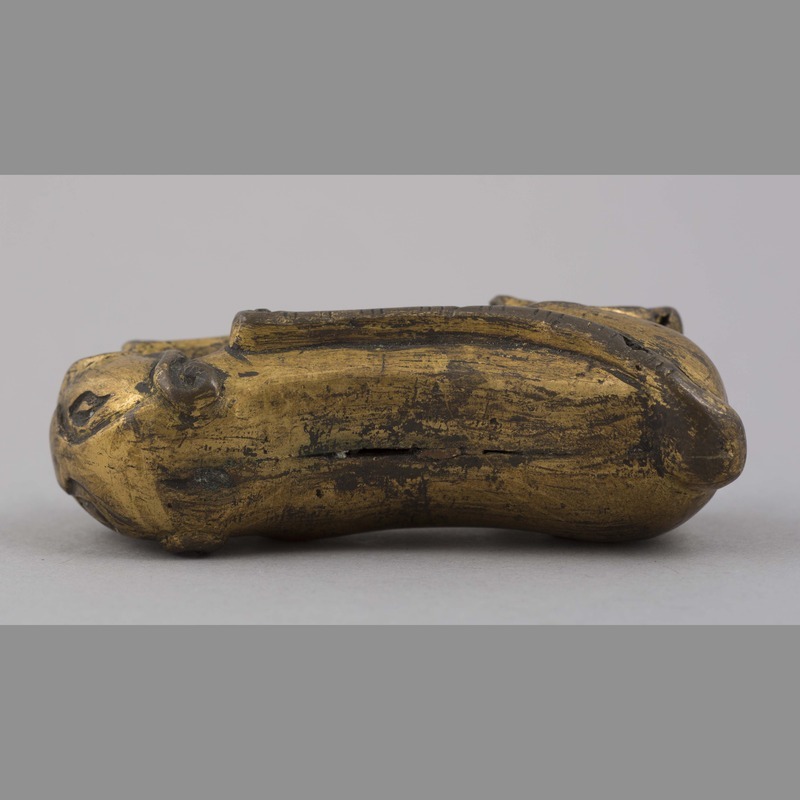 “Bronze: sculpture,” China, Art and Cultural Diplomacy, accessed April 22, 2019, http://rewialleyart.nz/items/show/814.